The North of the Netherlands is a stronghold in various sectors of the Dutch economy. These include agrifood and biobased economy, chemical industries, data centers, life sciences, offshore wind technology, and water technology. The Northern Netherlands has already made significant investments in the biobased economy. The region recognizes the urgency of industrial cooperation in the development of this sector, as well as implementation from joint knowledge development and technology use to obtain more value from biomass. The region is a major producer of raw products for the food industry and aquaculture, including sugar beets, potatoes, milk (and all of its derivative products) and grains, which makes the Northern Netherlands exceptionally attractive to companies with activities based on the ingredients produced by agro-processors. It also has a strong paper and cardboard sector, which process a substantial amount of biomass. The Dutch Biorefinery Cluster (DBC) is an alliance between agricultural cooperatives (Cosun, FrieslandCampina and AVEBE), Productschap Akkerbouw (Arable Farming Product Board), Courage, the Koninklijke Vereniging van Nederlandse Papierfabrieken (Royal Netherlands Association of Paper Factories) and NOM. This project is aimed at developing new technologies that turn residual products into raw materials for other products. The Carbohydrate Competence Center is a consortium of knowledge institutions and businesses setting out to generate, develop and share knowledge in the carbohydrates area. The purpose of this is to promote innovation and to contribute to a healthy and sustainable society. Examples of AgriFood and Biobased economy related companies in the Northern Netherlands include Cosun, FrieslandCampina, AVEBE, Lypack, Hellema, Van der Meulen Meesterbakkers, Steensma Food Ingredients, DOC Kaas, Agrifirm, Royal Smilde foods, Frysian Egg, and Koopmans Meelfabrieken. Knowledge institutes and other relevant institutes include the University of Groningen, Hanzehogeschool Groningen University of Applied Sciences, UMCG, Van Hall Larenstein (division of Wageningen University), Dairy Campus, Dutch Drying Institute, and Wetsus. The chemical industry in the Northern Netherlands comprises two clusters. The Delfzijl cluster is currently based on salt, specialty chemicals, and gas, but in future will focus on green energy and CO2 chemistry. Delfzijl is also one of the two Dutch clusters producing chlorine. The Emmen cluster is based on plastics and polymers. The main focus is cost sharing and greening raw materials. Both clusters have space for co-siting or green field investments. Both Delfzijl and Emmen are connected to the Dutch and German markets by road, rail and waterways. Examples of chemical companies established in the Northern Netherlands include AKZO Nobel (Salt, MCA), PPG Industries Chemicals, PPG Industries Fiber Glass, DOW (MDI purification), Teijin Aramid (Twaron fiber), Lubrizol (cPVC), ChemCom Industries (formaldehyde), DSM (engineering plastics), Delamine (amines), and Zeolyst (zeolites). The Northern Netherlands has a mild climate, which is ideal for free cooling of data centers. It uses a green energy mix of biomass, wind turbines and hydropower. In fact, the region has the largest onshore Dutch wind farm, generating 600+ MW. The power supply in general is secure and is able to produce > 8,000 MW at close range with reliable connectivity and low latency. Examples of Data Centers in the Northern Netherlands include Google, ATOS, KPN, Data Center Friesland, CJIB, Netwizard, and DUO. Knowledge institutions and related companies include Tata Communications, University of Groningen Center for High Performance Computing and Visualization, TNO Information and Communication Technology, Sensor Universe and Energy Valley. This region of the Netherlands has focused on life sciences & health with an emphasis on healthy ageing. 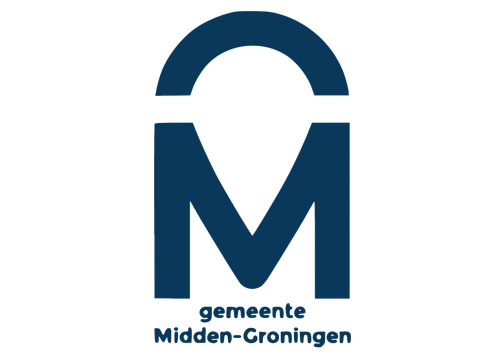 There are eight health-related universities within a 120 miles radius, including the largest university medical center in the Netherlands (Groningen) as the center of the Healthy Ageing Campus. ERIBA, the European Research Institute for the Biology of Ageing, is also based here and performs fundamental research in the field. The Biobank LifeLines is currently following 165,000 people from 3 generations for a 30-year period, yielding enormous amounts of information for the development of new (and personalized) pharmaceutical and food products and biomarkers. Examples of Life Science companies in the Northern Netherlands include PendraCare, IMDS, Abbott Medical Optics, Ophtec, Menicon, PRA International Early Development Services, QPS Netherlands, Syncom, BD Kiestra, PerkinElmer, Alvimedica, DSM Biologics, and Astellas Pharma Europe. Knowledge institutes and related institutes include UMCG, the University of Groningen, Hanzehogeschool Groningen University of Applied Sciences, Noordelijke Hogeschool Leeuwarden, LIMIS, Healthy Ageing Network Northern Netherlands (HANNN), European Research Institute on the Biology of Ageing (ERIBA), and Healthy Ageing Campus Netherlands (HACN). The Northern Netherlands is well suited for offshore wind activities, because of its central location in relation to the offshore wind farm sites in the North Sea (2500 turbines in a radius of 70 nautical miles). It has port facilities specifically aimed at the offshore wind industry (cranes, vessels, quay facilities, heliport, open sea connection), the full support of regional public authorities (including test sites), and the presence of specific education and training facilities for the offshore wind industry. In addition, there is a growing network of offshore wind related companies, called Northern Netherlands Offshore Wind (NNOW). Besides networking, knowledge exchange and the joint implementation of promotion and acquisition activities, the cluster also pays ample attention to R&D, business development, and training adequately qualified personnel. NNOW will enter into alliances with other parties to accelerate this development. At the moment, approximately 40 companies are involved with NNOW, which has created a powerful impulse for more activity in relation to offshore wind in the Northern Netherlands. The Northern Netherlands is a European Water Technology hub because it is dedicated to water technology and innovation, with support from the central Government, Provinces, municipalities, knowledge institutes and companies. It is home to the Top Technology Institute Wetsus, which is a collaboration of 17 European universities on sustainable water technology. The inspiring and multidisciplinary collaboration between companies and research institutes in Wetsus results in innovations that contribute significantly to the solution of global water problems. The region has highly skilled workers, office facilities, and shared lab, test and demo facilities, as well as available subsidies, collaboration opportunities and easy access to the European market. Examples of Water Technology companies in the Northern Netherlands include Paques, Spaans Babcock, Landustrie, Hubert, Capilix, Aquana, Biotrack, and LSF. Knowledge institutions include WETSUS, Centre of Excellence for sustainable water technology, Van Hall Institute, NHL, and Technology Centre Northern Netherlands.